Licence is a brainchild of Ludwigsburg guitar hero and songwriter Steam Thiess. He founded band in 2014 year, and in forthcoming period his group has opened for acts such as a : Terrana, Stormwitch, Saxon, Praying Mantis to name a few. 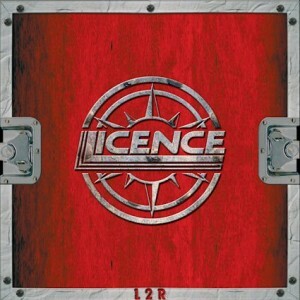 After releasing an EP, a group has recorded a full-length with 11 tracks in, entitled “Licence 2 Rock”. Licence work as a quartet in formation, with female fronted singer, and this is Steam’s daughter Jacky Coke. “Licence 2 Rock” with presented songs introduce group as a certain melodic/80’s hard rock/metal band. Modern production of well known Achim Kohler , recognizes the band as an act which accepts a standards of our time. Brief songs, without expand arrangement including and equalizing materials characterize “Licence 2 Rock” as an album. Well done, especially for the followers of mentioned 80’s period.